Can you believe May is practically here!? I hate that April has been a bit of a slow blogging month for me. I am ready for and have high hopes for May! Today I'm sharing 5 random tidbits for the Five on Friday. The Tory Burch Spring Event is here!!!! My patience has finally paid off...Tory Burch's big spring sale is here! She is offering up to 30% just about everything with code BLOOM. I've known that she usually hosts this sale in April, and often launches it on a Thursday so I have been monitoring my inbox like a hawk! Yesterday my dreams came true and I was finally able to order the much coveted Lexington Wedge! They've already are shipped and are due to arrive on Monday...I can't wait! Have you shopped the sale yet? What did you score? 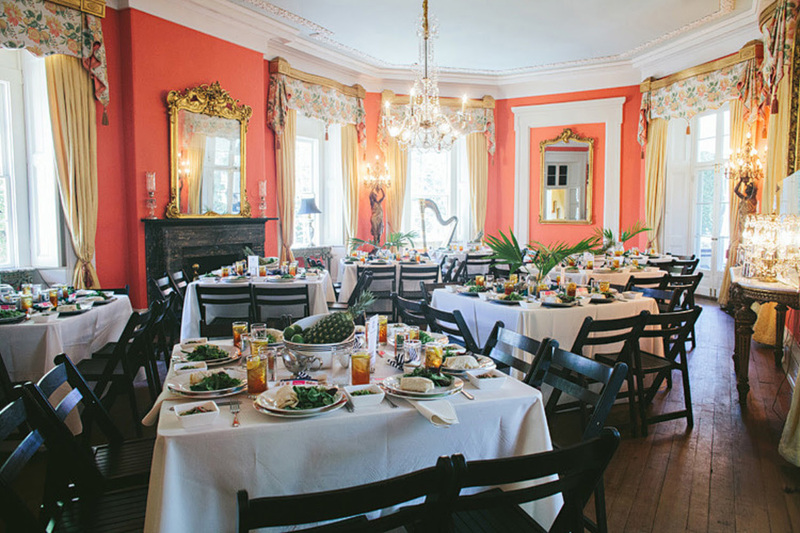 I can't believe that this time next week, the Southern C Summit and my trip to Charleston will be wrapping up. I don't know what I'm most excited for...the amazing swag bag; drool-worthy welcome brunch; poolside yoga; or books, bites, and sips, just to name a few! Be sure you follow along on Instagram to join me in Summit adventures! Those that follow on Instagram saw that last night Bryce and I had the first al fresco meal on our patio for the season! It was a gorgeous night and a real treat after Bryce's travels earlier in the week. What made it even better was that Bryce took all the initiative on dinner...he meal planned, shopped, and cooked. I was in heaven! We tried a new recipe Bryce had seen on the show Mind of a Chef and it did not disappoint. You can find the Chicken Balti recipe here. I've shared my love of La Croix, particularly coconut on social media before. Those of you that follow along on Facebook particularly liked this link that I shared. 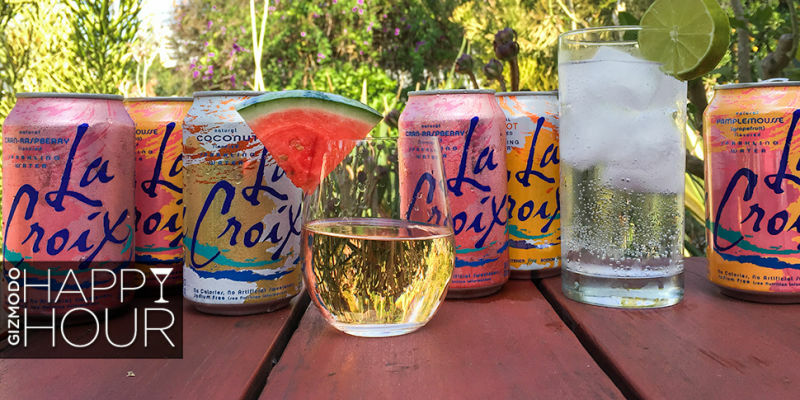 That being said, I figured I'd share on here, as well: "9 Cocktails Made with LaCroix, a Sparkling Water with a Cult Following." 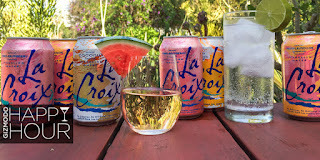 One of my go-tos at home, is simply Coconut La Croix with a lime wedge (or two!) and vodka! 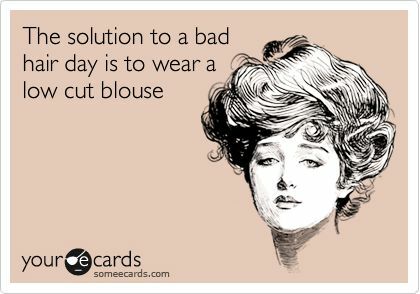 Cracking up over this eCard right now! I got my hair done early last week and talked to my hair dresser a lot about the appropriate frequency for washing hair. I have fine hair that tends to get oily pretty fast and never quite understood how people could go days between washes. She explained that it's really about training your scalp for less washes. When you shampoo every day, it dries your scalp out, and in turn you produce more oil. I'm on week two of washing my hair every 2-3 days and it's going okay so far. I use baby powder as dry shampoo as necessary, but am thinking I may need something better, particularly for day 3. Any recommendations? I have really similar hair and have tried a ton of the dry shampoos out there. My favorites are the Living Proof and Oribe Dry Texturizing Spray. The LP is a great basic dry shampoo, and the Oribe (while the most expensive hair product I own!) is an amazing dry shampoo/volume builder all in one! Yay for getting your wedges and Southern C!!! So I just got a new dry shampoo and am OBSESSED. It's called Batiste and I ordered the tropical scent off Amazon. I've tried everything from a $40 bottle from Sephora to $5 Dove and this is the best one I've found. I need all the TB things!!! Ahhh!! I wash my hair every other day to every 2 days and it has gotten a lot better. I use the Oribe Dry Texture spray which is unbelievably expensive, but amazing. 1 bottle has lasted me a year, so there is that. I've tried so many of them and this is my fav. I've also committed that on Day 3 of a wash, a pony tail or bun is really my only acceptable look. Yay, I was so excited to see the TB sale go live..your patience for sure paid off, love those wedges! I use the Pssst dry shampoo and swear by it, they even have the mini bottles that you can throw in your purse for on the go! That e-card is hilarious. I use Batiste dry shampoo - you should give it a try! I also recommend using that or baby powder before you go to sleep - it will absorb the oils overnight and not look so white in the AM. The La Croix link is perfect because I actually just picked up my first case this morning as everyone is always raving about it and anything to make a low calorie cocktail works for me! Love that you guys are already eating al fresco - we're hoping to do that this weekend! I have lots of fine hair also and stopped washing it everyday about 6 months ago. I use Batiste Dry Shampoo and it is always in the Richmond Marshall's on sale. If you want to splurge I love Amika or Klorane. I spray it at night and let it soak up the oils then brush it out in the morning and my hair looks great! Majorly jealousy over those wedges! Post lots of outfit pics when you get them so I can dream about getting them!!! I looove La Croix! Thanks for sharing! I love the Lexington Wedge ! La Croix is my new go to. I haven't tried using it in a cocktail though. I may just have to try it this weekend!